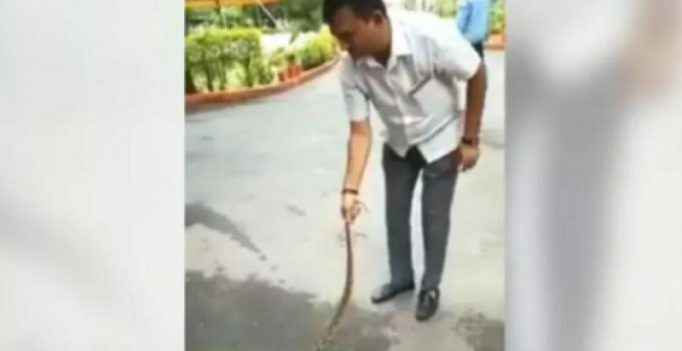 Ahmedabad: Senior Congress leader Paresh Dhanani subdued a venomous snake which was found outside his official residence in Gandhinagar, with a video of the episode doing rounds on social media. Dhanani, the leader of opposition in the Gujarat Assembly, was seen handling the Russell’s Viper in a video he uploaded on his Facebook and Twitter accounts on Tuesday. In the video, shot by one of his staff members, Dhanani can be seen holding the snake by its tail. 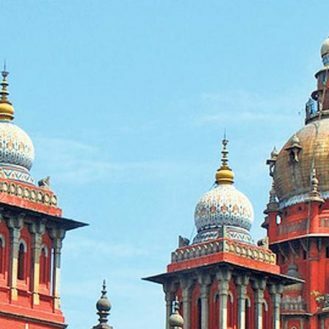 The Congress leader appeared to be at ease in controlling the venomous snake. “This is Russell’s Viper snake. The snake lost its way and came to my house. But, I too know how to catch snakes,” reads the caption, written in Gujarati, on the video. According to his media coordinator, Haresh Sisara, the snake was later released in the nearby bushes.